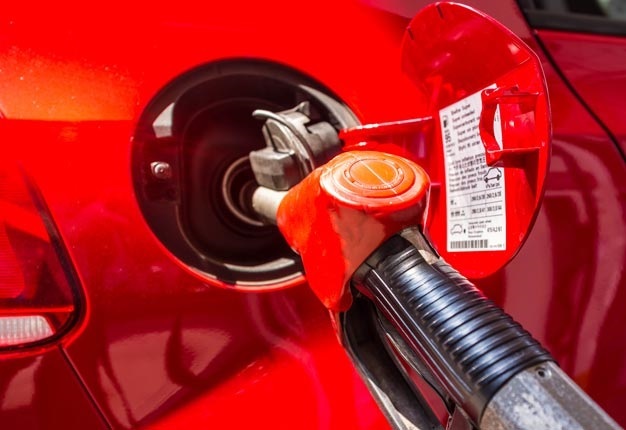 So, economists warn that the petrol price might be going up again, and none of us are happy about it. It might be a bit more of a schlep, but using public transport can save you time and effort, as well as money. Also, walking, running, or cycling can be just as effective, and can help you keep in shape. Why not arrange a carpool with your colleagues or friends who work in the same area? You split the cost of petrol and take turns driving each week or day. Plus, it makes sitting in traffic a lot more fun. Service your car regularly, and if something doesn't sound or feel quite right, have it checked just to be sure. Studies have shown that a car with a badly tuned engine will increase the amount of petrol your car uses. Also, don't forget to change the oil in your car on a regular basis - it'll reduce the wear and tear in the moving parts of your car's engine. Easier said than done, especially in heavy traffic. But angry driving burns more fuel. And it's just better for your over all well-being, isn't it? Relax. Enjoy the ride and take your time. Just by driving at a constant speed, and using your cruise control, you can save petrol by almost 15%. We know it can get really unbearable with the freezing cold in winter, and the sweltering heat in summer, but air conditioners can use about 10 % extra fuel when they're on. But, at speeds of over 80 km/h, using the air con is better for fuel economy than an open window. Avoid filling your tank to the top. Overfilling results in overflowing. Watch the attendant and make sure he/she fills up to the first 'click' of the fuel nozzle and no further. Your tyres. Not the jam. Ensure your tyres are the correct pressure. It might seem insignificant, but it can have a massive impact on fuel usage as well as the handling on your car. It’s also much safer since low tyre pressure can cause blowouts. Take out anything and everything you don't need in your car. Clear out your boot, and take off anything that's on your roof rack (including the roof rack itself, if it's not being used). Weight can be a factor in increasing fuel usage affecting the vehicle’s handling. A wrong turn here and there means extra k's and more fuel. Make sure you know where you're going, and get accurate directions. Going to the shops constantly also wastes feul. Draw up a shopping list and ensure you complete all your errands in one trip. If you plan carefully, you can save those last few drops of petrol. Can't afford a major car service right now? It's okay - as long as you use this checklist. It's no fun being stuck out on the highway all alone in the middle of the night. So, here are a few things to carry with you in case you get into a sticky situation.